Whether you are the landlord or the tenant, it is important that you seek the advice of an experienced attorney to guide you through the review, drafting and/or negotiation of a lease. 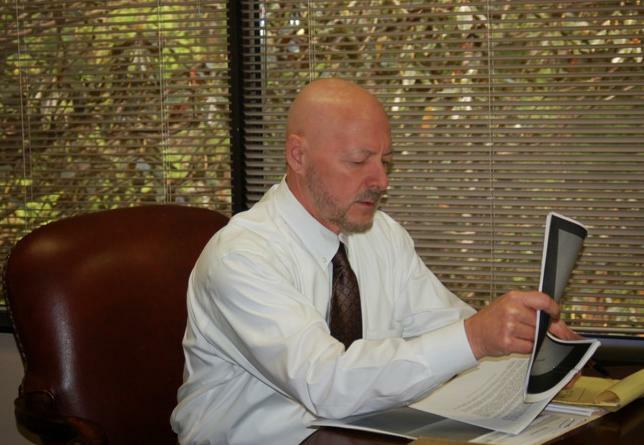 Attorney Godfrey has 30 years of experience in representing both tenants and landlords in residential, retail, commercial, office and warehouse leasing, ranging from strip centers to major malls to big-box stores. Orlando business leasing lawyer Godfrey has represented local and national retail and hospitality clients in structuring lease transactions to assure that all elements of the business deal are considered, discussed and reviewed when entering into a lease, whether short term or long term. A multitude of factors should be considered, and not every attorney has the hands-on experience or the extensive background that we bring to the table. Having negotiated and drafted hundreds of leases during his legal career, attorney Godfrey is able to see beyond the four-corners of any proposed lease contract to identify what has not been adequately covered or what has been overlooked in each unique situation. The tenant, versus the landlord, may have operational and practical concerns that require an experienced attorney to identify the potential pitfalls and issues that make a standard lease form inappropriate for the tenant and its special needs. Attorney Godfrey can assist tenants in identifying those concerns and address them in a manner that protects the tenant’s ability to run its business without undue stress or unnecessary aggravation. Attorney Godfrey can assist the tenant in understanding the stated as well as “hidden” costs required to be paid under a lease. Knowing the true base rent is just the starting point. We can assist a tenant in identifying costs not easily recognized and help the tenant more fully comprehend the extent of a lease commitment as presented. In today’s highly competitive market, landlords must also be wary of how a lease is structured. Costs are continually rising and governmental requirements are increasing. A failure to anticipate and adequately address both current and future potential concerns can be costly. An experienced attorney can assist in identifying what risks each tenant may present and address those issues in advance. Attorney Godfrey’s extensive experience in working with landlords and tenants in every area of leasing will provide landlords with insightful and knowledgeable legal advice and representation. Attorney Godfrey can assist the landlord in identifying areas of cost that need to be addressed and how to protect the landlord from unanticipated future costs that a particular tenant’s requirements may impose. One size DOES NOT fit all when it comes to leasing. Let our wide-ranging experience in negotiating with and for national chains in the retail and hospitality industries you through the process of leasing and put you in a position to make better and more informed decisions. Whether you need to negotiate with a large retailer or national leasing company, whether you need help in pursuing your dream or are in the fortunate position of being able to grow your business, attorney Godfrey has the knowledge and skills that will put you on the right track in pursuit of your goals. Contact Orlando business leasing lawyer online or call 407-890-0023 or toll free 866-243-9048 to discuss your situation.